You don’t need to put up a calendar (though it really helps), but it’s time you start monitoring your work. We can all fall under the illusion that we’re making progress, but when you start actually seeing proof what you’re getting done (and what you’re not), you’ll be able to start making reasonable plans on how to tackle your endeavor. You may have large ideas, but if you’re starting your year with a giant project on your plate you may get discouraged quickly, worried you’ll be stuck in the woods all the way until the next New Year’s. So start out with a smaller task. Consider it a warm-up, something that you can finish before the end of January. It will get your muscles moving, your brain firing and it’ll be a huge boost of confidence for bigger things to work on through the rest of the year. 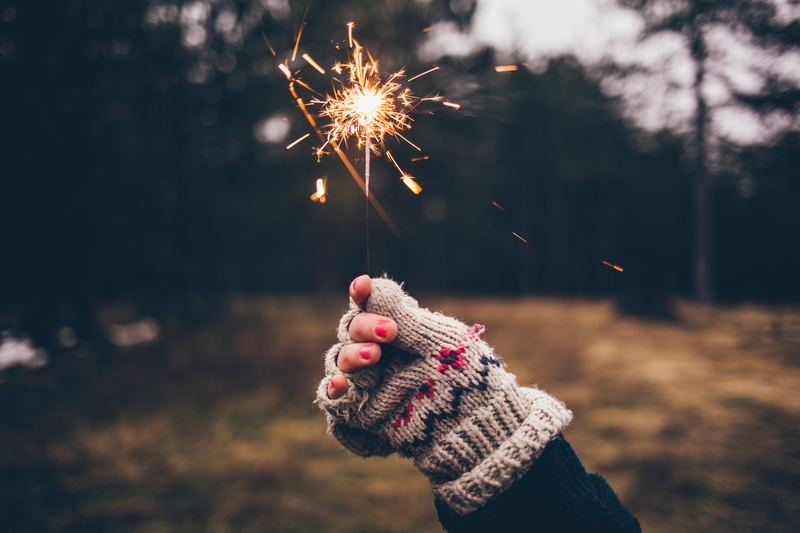 The post 4 Important New Year’s Resolutions For Artists appeared first on CreativeLive Blog. 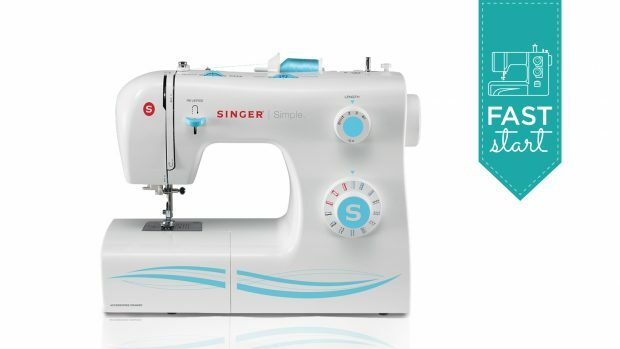 The post Did You Get a Sewing Machine for Christmas? We’ve Got Some Helpful Sewing Tips for Beginners appeared first on CreativeLive Blog. If you’re a photographer of any level, you definitely don’t need anyone telling you that competition is steep in the industry. Even casual shooters feel the occasional burn as peers pick up new gigs or receive accolades, and for full-time professionals, it can be even worse. But, urges newborn photographer Kelly Brown, it’s not the opinions of other photographers that you should worry about. After all, your peers don’t pay your rent. “My business is the most important thing to me, other than my family because it’s what brings money into my family,” she explains. And while, in the past, she’s struggled with comparing herself to others and feeling like she wasn’t good enough to compete in the field. Capture the life stories of your subjects. Join internationally renowned photographer, Kelly Brown for a distinctive exploration on how she captures her subject’s individual story. Realizing that the business is there to make money, and that it’s one with plenty of room for everyone, helped her feel less anxious and afraid. Competition can, in some cases, be healthy — finding out the rates and services of other photographer in your market can, especially when you’re first starting out, be useful in figuring out the specifics of your own business — but getting bogged down in industry gossip or slamming other photographers to make yourself feel better? That’s both unnecessary and unhelpful. Instead, focus on your own work. Focus on pleasing your clients. Focus on your passion within the field. Focus on why you’re photographing at all. If you can do that, the chatter (and anxieties) will die down. The post Kelly Brown: I Don’t Care What Other Photographers Think appeared first on CreativeLive Blog. To help you the craft and maker in your life tap into their fullest potential come the New Year, we’ve brought together some of CreativeLive’s best instructors and entrepreneurs to Improve Your Sales. Improve Your Sales is a collection of five intensive classes, taught by the best experts in the field. 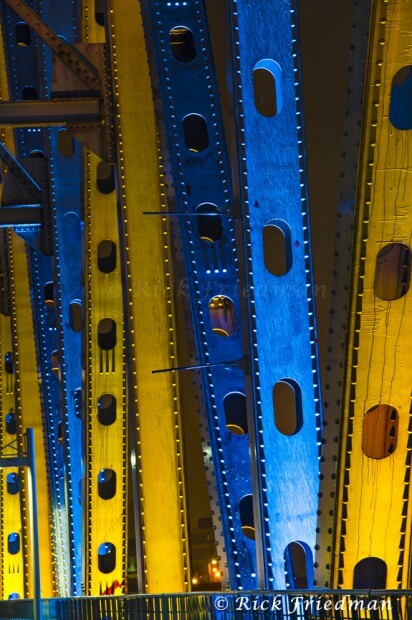 Tara Gentile, Megan Auman, Tara Swiger, Abby Glassenberg, and Lisa Jacobs reveal the best lessons they’ve learned from their combined decades of business experience. Their insights, lessons, and examples are designed to make you a more effective marketer, a more persuasive salesperson, a more profitable business owner, and a more prepared maker. 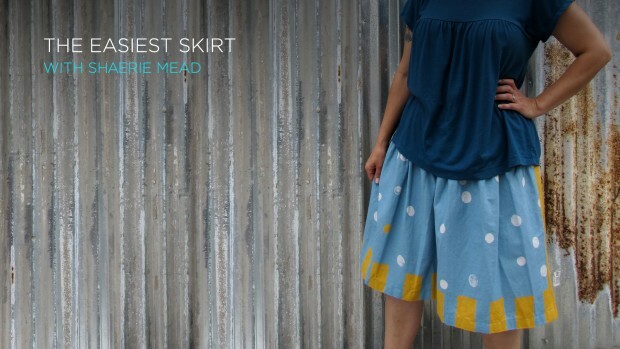 Price Your Craft with Tara Gentile. Pricing your products isn’t just about covering your expenses and making a profit. In this class, you’ll learn how to set a pricing strategy that tells a story about your business and helps you reach your goals. Email Marketing for Crafters with Abby Glassenberg. A good email feels personal and creates a strong connection between you and your readers. Join Abby and she’ll teach you how to develop a compelling, personal, and effective email strategy. How to Get More Done with Tara Swiger. 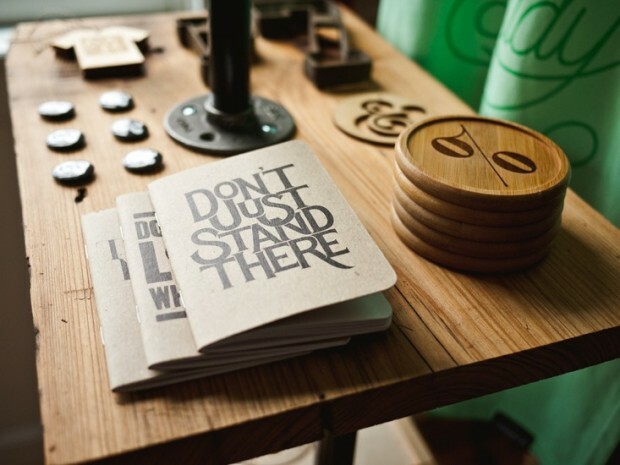 Stop fretting over the limited number of hours in a day and get to work – the smart way! In this all-too-close-to-home class, Tara will lay out a simple action plan to help you manage your time, your business, and your family life more efficiently. Copywriting for Crafters with Lisa Jacobs. You built your online store, now it’s time to do the fine-tuning that gets people to buy. In Copywriting for Crafters, you’ll learn wordsmithing tricks and techniques that lead customers to check-out. 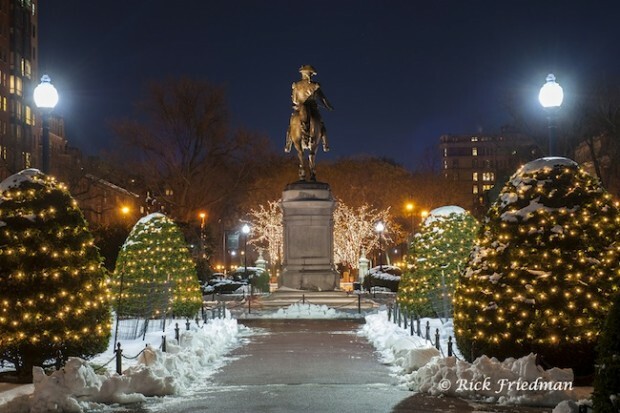 Build Your Holiday Marketing Plan with Megan Auman. 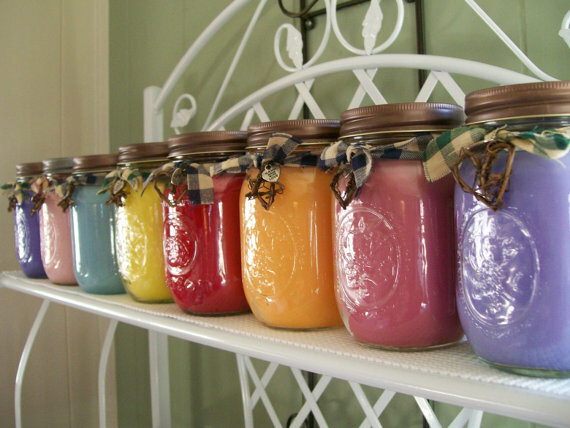 Take advantage of seasonal excitement and market your products when people are buying. In this class, Megan will help you develop a reliable system for aligning yourself with the shopping seasons. Through this collection of classes you’ll get tips that’ll help you overhaul the way you do business. 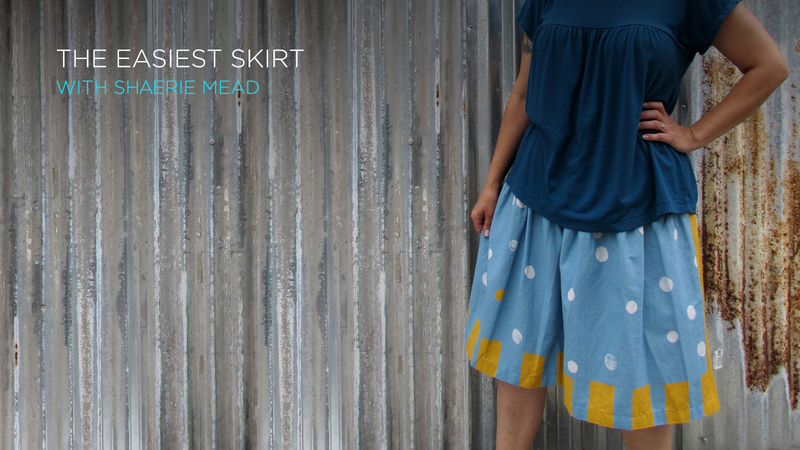 You’ll have the skills and tools you need to ensure your handmade business thrives, all year long. The post Last Minute Holiday Gifts For The Maker On Your List appeared first on CreativeLive Blog. In Charles Dickens’s classic “A Christmas Carol,” the Ghost of Christmas Past was a scary and morose figure and a reminder of all the things that Ebenezer Scrooge had done wrong in his life. In reality, for the most part, Christmases past aren’t really very scary. In fact, based on these photos from these vintage Christmas photos from the archive, prior holidays looked a lot like ours, albeit with fewer Instagram filters and a lot more scraggly Santa beards. To celebrate today, here are some non-scary, mostly silly (and some serious) photos of Christmases past from around the world. Happy holidays! 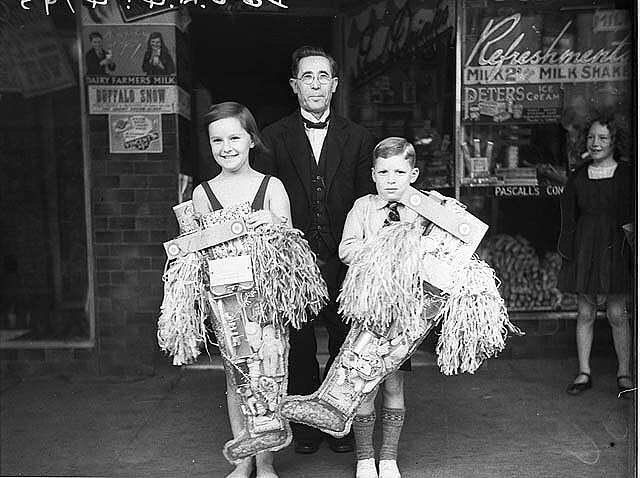 These Australian children appear to have gotten lucky and procured some very large stockings. 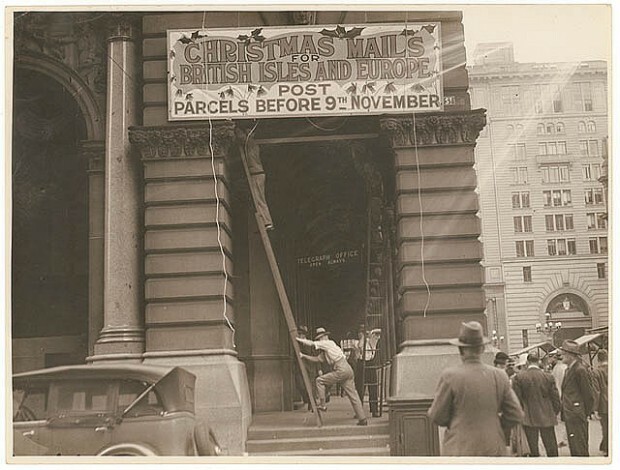 This photo is dated 1934 and comes via the State Library of New South Wales. It was published on December 26 in the local papers. 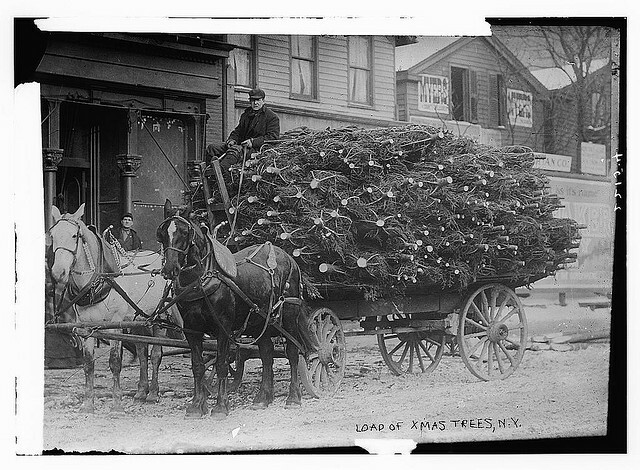 “Loads of XMas trees” came rumbling down the streets of New York between 1910 and 1915 according to this Library of Congress photo. Letters to Santa: A tradition. This 1947 image of little Marion Stockton mailing her wishes comes from Florida Memory. Salvation Army Christmas drives are a long-standing tradition. 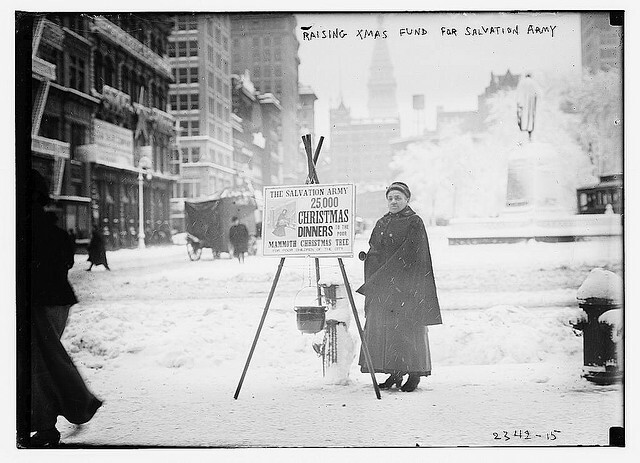 This lonely, charitable person was photographed in 1915, and the image comes from the Library of Congress. 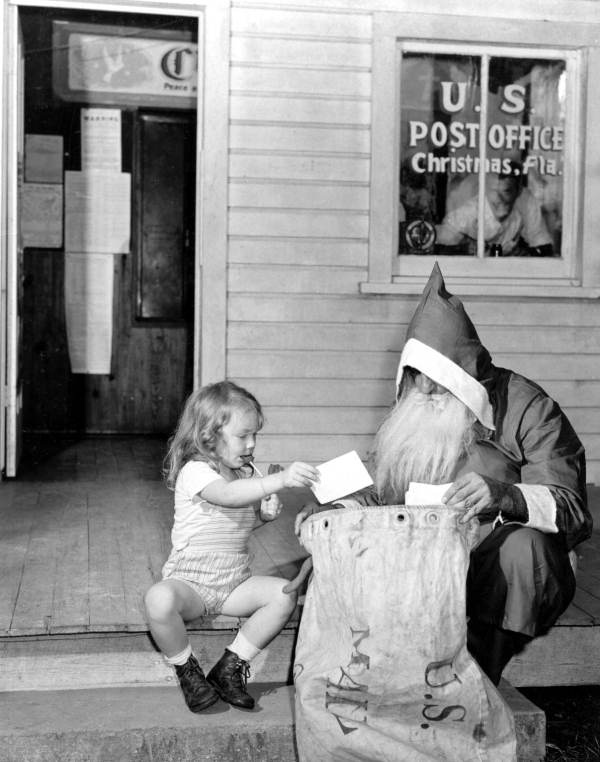 The Christmas postage rush: Certainly nothing new, though Amazon two-day shipping sure has changed the amount of planning ahead we need to do. According to this image via the State Library of New South Wales, to ship anything to the UK in the 1930s, you have to leave almost two months’ time. 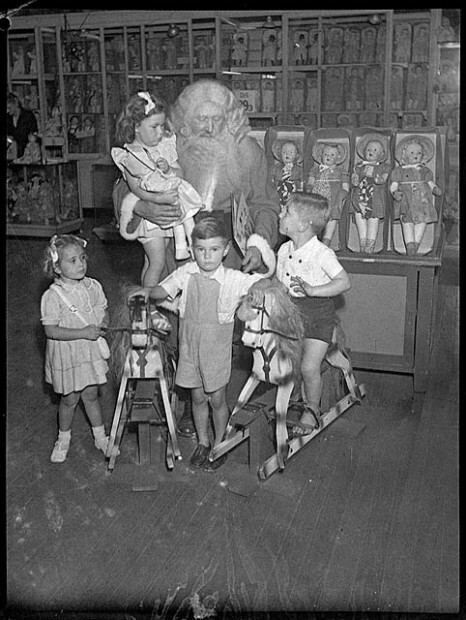 One thing that does not appear to have changed, if this 1946 image via the State Library of New South Wales is that children do not always love to post with Santa. Look at the face on the little guy in the middle! Here’s another pretty serious side-eye from McCall Magazine’s 1934 December issue. 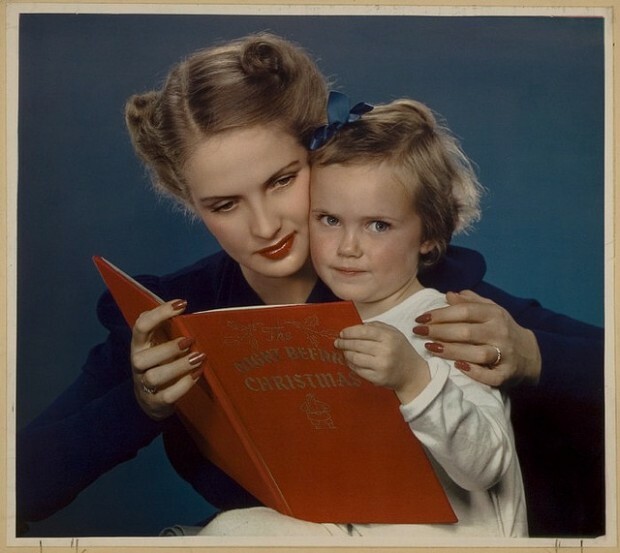 This image comes from the George Eastman House Collection and was made by Nickolas Muray. 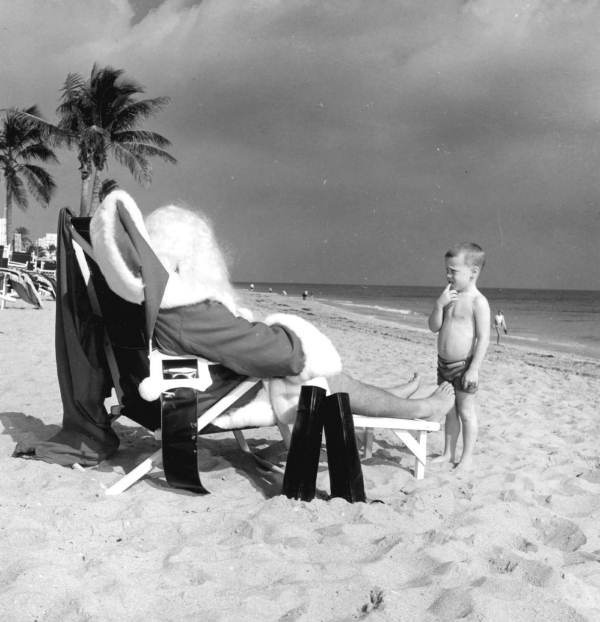 Florida really never sees a white Christmas, unless you count sandy beaches like the one in this 1964 promotional photo from Florida Memory. What would Christmas be without sweets? 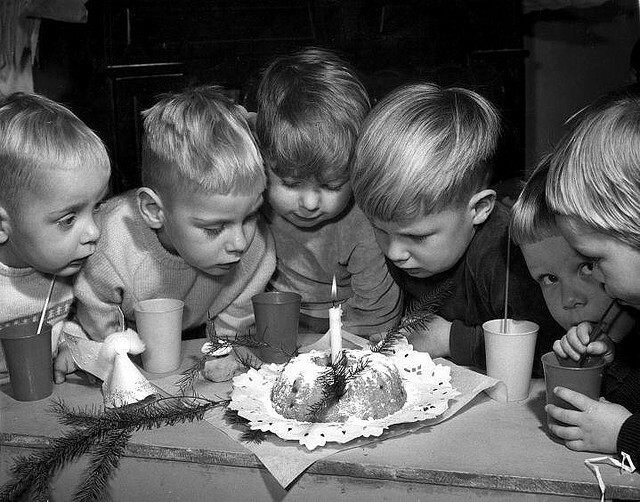 These Dutch children, circa 1960, seem pretty excited about that particular facet of the holiday. Image via the National Archive of the Netherlands. During difficult war times, Christmas treats become an important comfort. 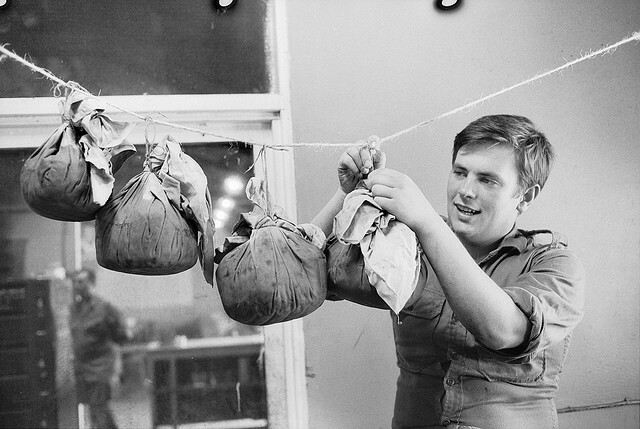 In this photo, taken during the Vietnam War, Private (Pte) David McColl is shown “hanging puddings to mature before Christmas. Pte McColl spent his spare time during the weeks leading up to Christmas supplementing the supply of Christmas cakes and puddings provided by families and friends of soldiers still serving in Vietnam,” according to the Australian War Memorial. 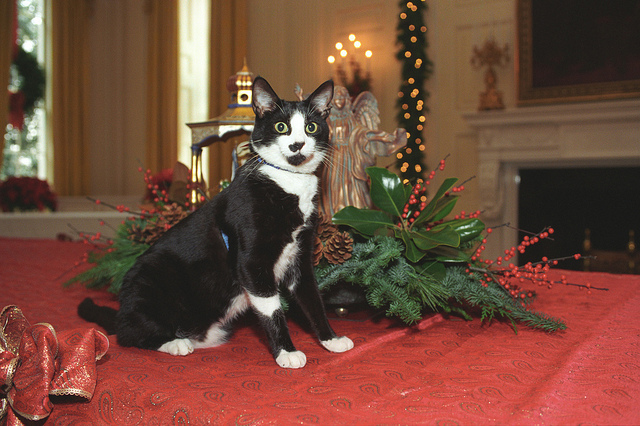 Socks the cat, who lived in the White House with President Bill Clinton, enjoyed almost any excuse to have his photo taken. This photo comes from the U.S. National Archives. 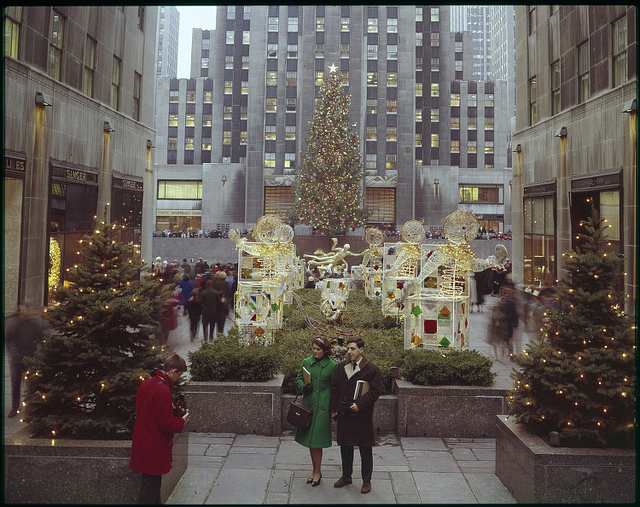 Rockefeller Center has long been a hub of holiday activity; here it is in a 1964 photo via the SMU Central Library University. Speaking of New York City, Madison Square Garden wasn’t always the spectacle it is today. 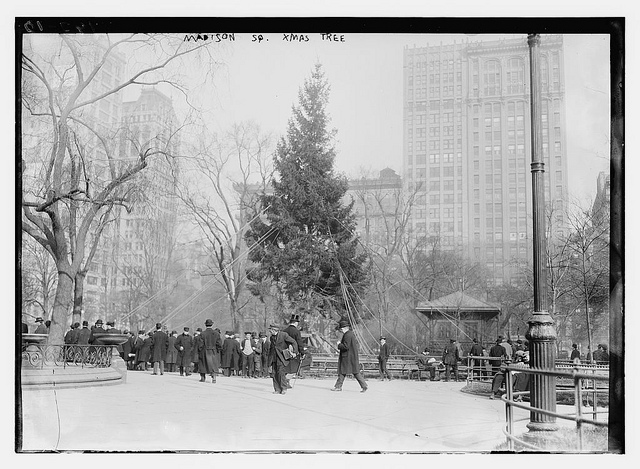 Here’s its tree some time around 1910, according to the Library of Congress. The post 13 Vintage Photos Of Christmases Past appeared first on CreativeLive Blog. You can always find an angle where your subject’s face is (mostly) shaded, even when shooting at high noon. Keep rotating them until most of the essential elements of their face is shaded, then expose for the shadows. Have them tilt down or hide in each other’s shadows, if needed. If you can, seek coverage to help diffuse the light. Note: ducking under trees can result in splotchy light, so move your subjects around until their faces are shaded. You can also use a reflector (cardboard, or even a body) to cover them if its a closer up shot. …or a south facing wall if you’re south of the equator. These walls get very little sun, if any, so you’ll be guaranteed some shade. Like they say, if you can’t beat ’em, join ’em. If turning your subject away from the light isn’t possible, then front light them. Embrace the sun and expose for highlights. Sometimes, it’s best to just go with it. Shooting at high noon can be challenging but comes with its own unique set of rewards. For more tips on lighting and shooting, visit Caroline Tran’s blog here. The post Five Lighting Tips for Shooting at High Noon appeared first on CreativeLive Blog. It’s the holiday help-all that keeps on giving — on your clothes, furniture, even eyebrows — long after you have completed the crafting task at hand. 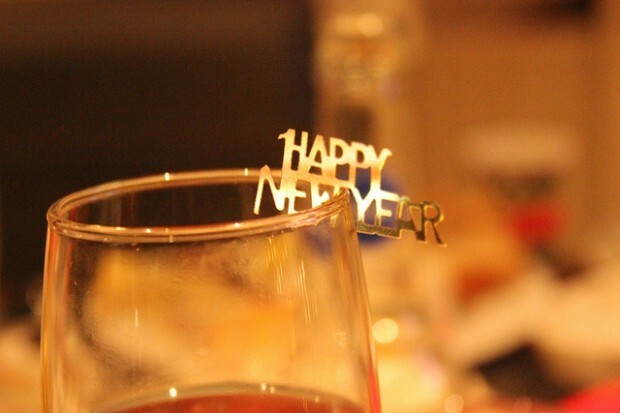 While the ever-present seasonal sparkler brings a dose of cheer, evoking images of frosted wonderlands, the romance of the New Year’s ball-drop, and the glitz of gifts and champagne — it’s a pain to work with and is easily overused. If you want to avoid the substance entirely or simply want to tone down busy holiday decor with something more rustic and subtle, here is a list of easy arts and crafts — 100% glitter-free. Make wrapping paper with textiles or book pages. 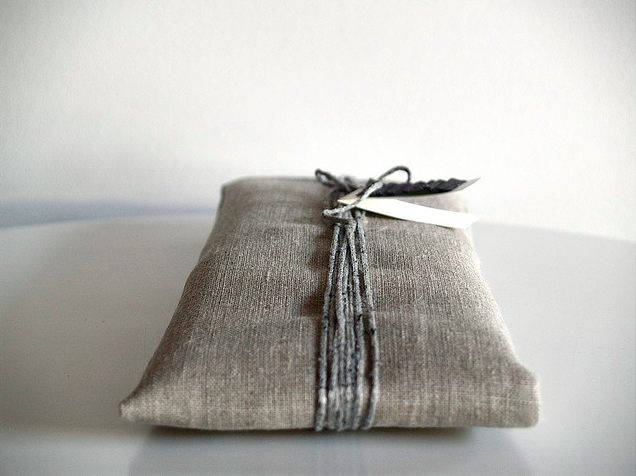 Get more great gift wrapping ideas here and here. 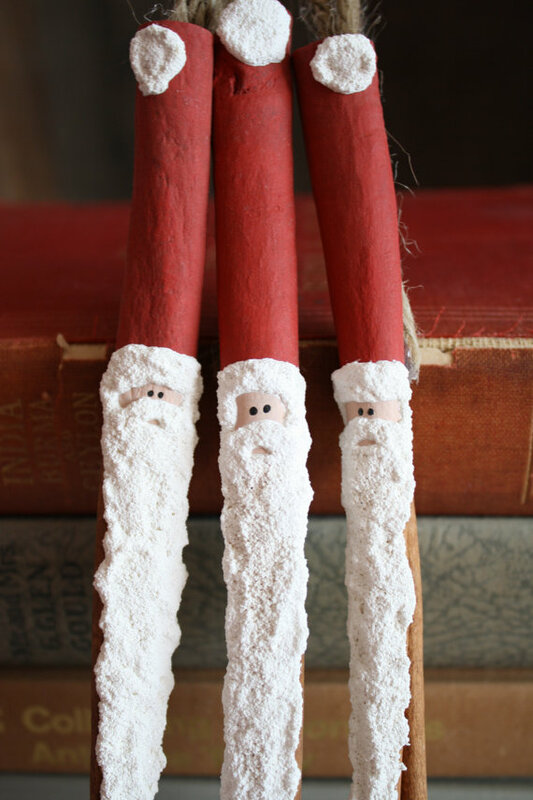 Spice up the tree with cinnamon stick ornaments. 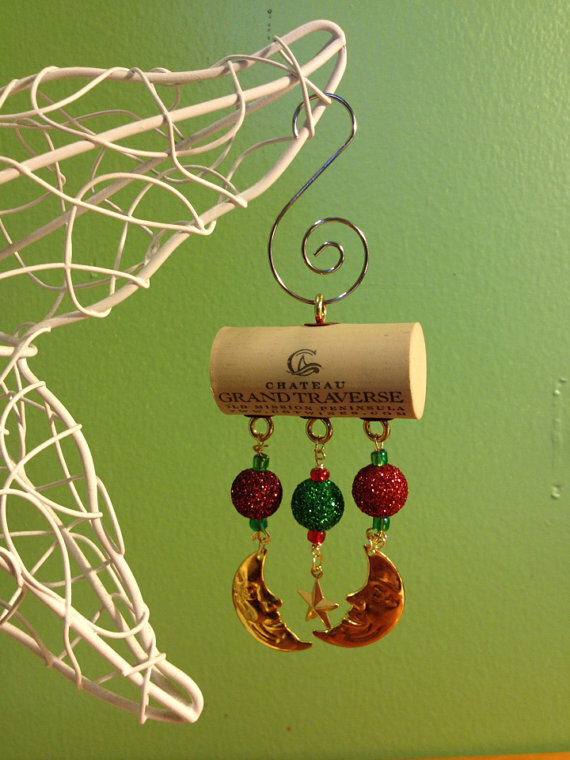 Turn your wine drinking into a craft project with this cork ornament. 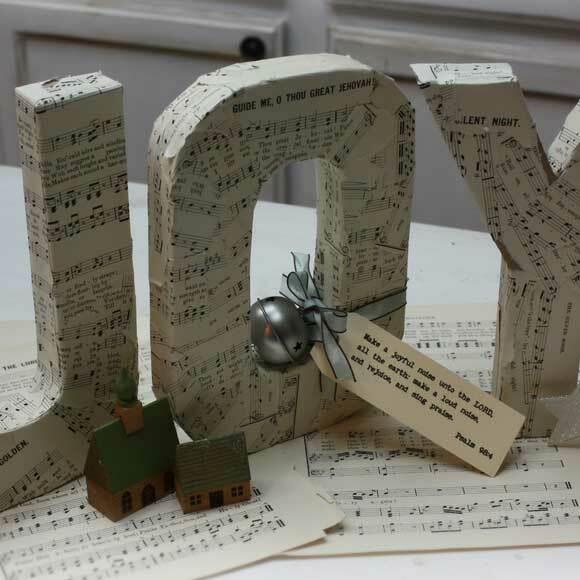 Cover block letters with sheet music for classic carols. 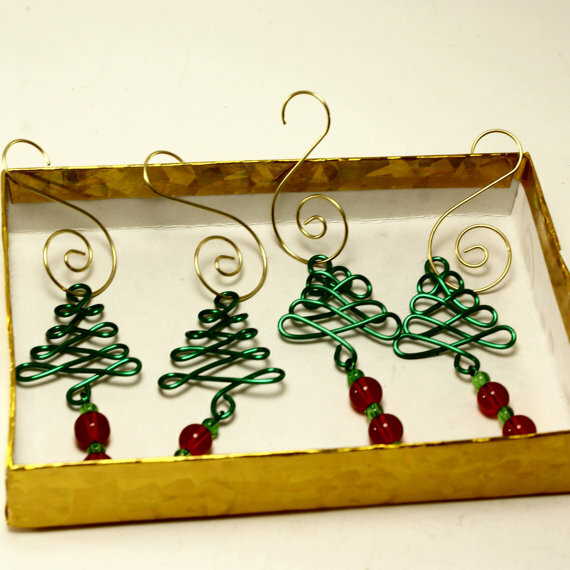 Give Charlie Brown’s Christmas tree a run for its money — make an adorable wire tree. 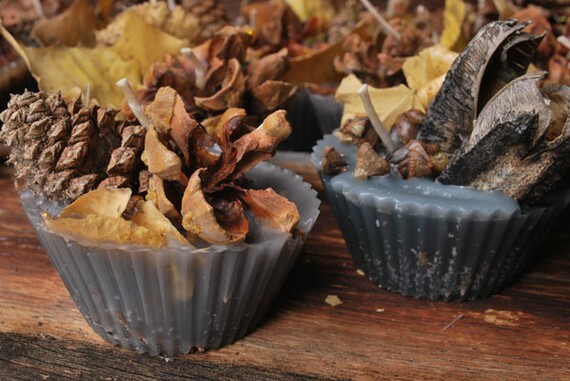 Light up the fireplace with pinecone fire-starters strung with twine. 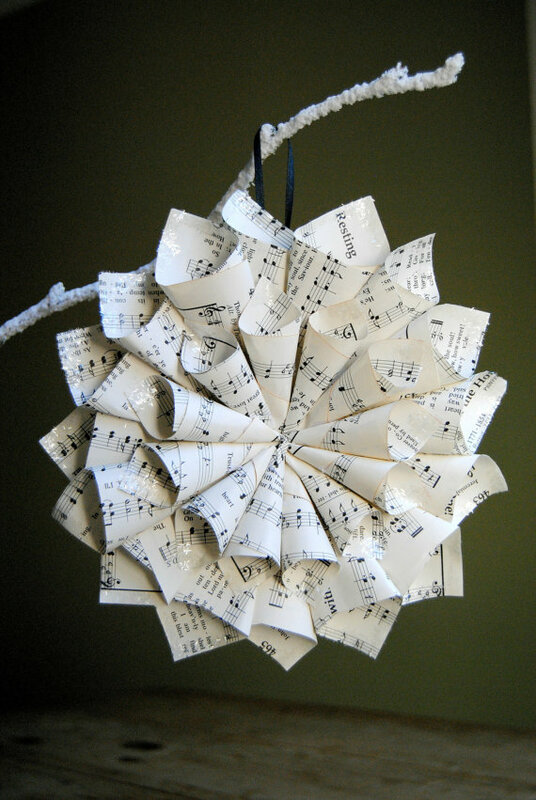 Deck the halls with boughs of music with these wreaths made of burlap sacks, sheet music, and/or twigs. 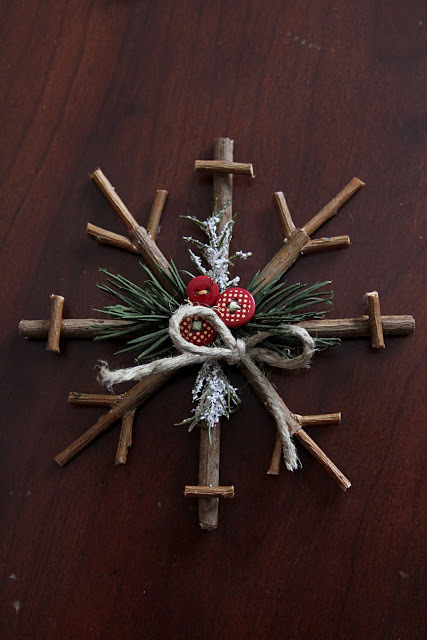 In lieu of an overly-precious glitter-doused doily, make snowflakes using twig, sprigs of pine, buttons, and twine. 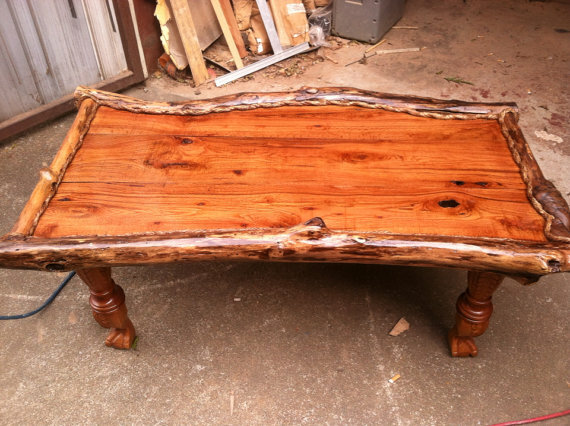 Get ambitious and create a rustic coffee table using wood logs. 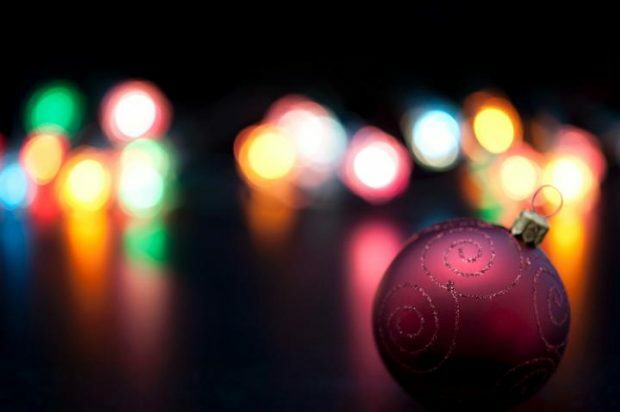 The post 10 Holiday Crafts That Don’t Involve Glitter appeared first on CreativeLive Blog. While we’ve already established that it’s perfectly ok to take a break during the holiday season, the raw reality is that a lot of creative types literally can’t afford to do that. Bills need to be paid, gifts need to be purchased, and tax season is coming up quickly. 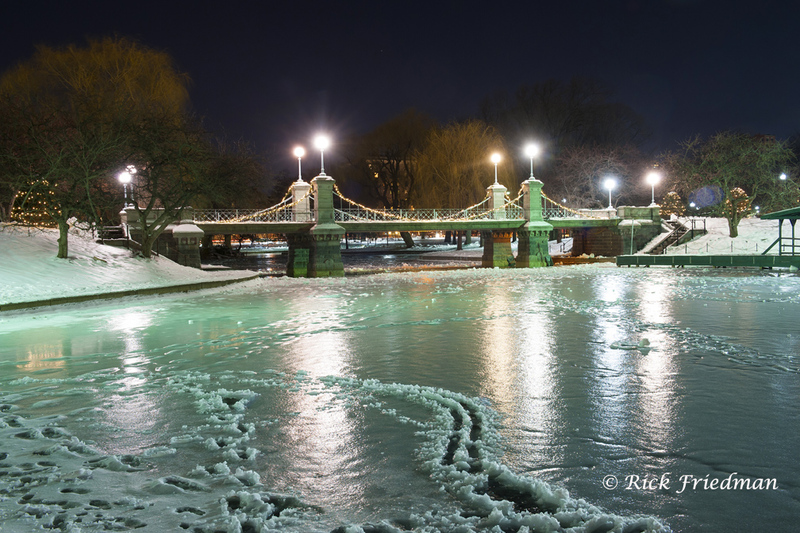 If your usual kinds of work — commercial, wedding, whatever — is extra-slow during the chilly winter months, the lack of income can be an extremely stressful and even scary experience. 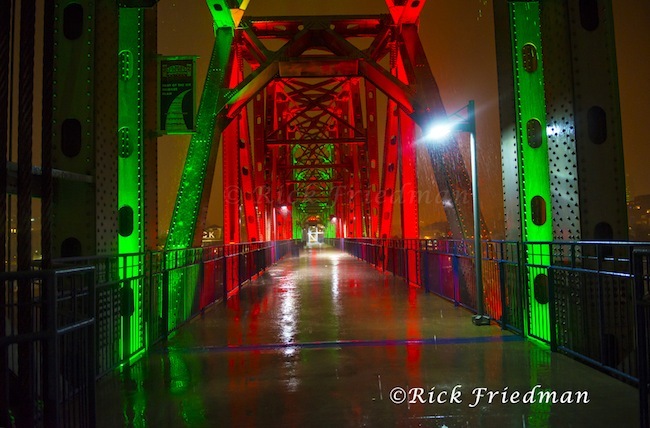 But there are ways for photographers to make extra money during the holiday season. It just takes a little creativity and, possibly, some hustle. Make portraits. If you’re usually a wedding photographer, portraiture if a fairly natural next step. Consider contacting some of your recent clients to see if they’d like to do a “first Christmas together” or a New Years’ Eve shoot. 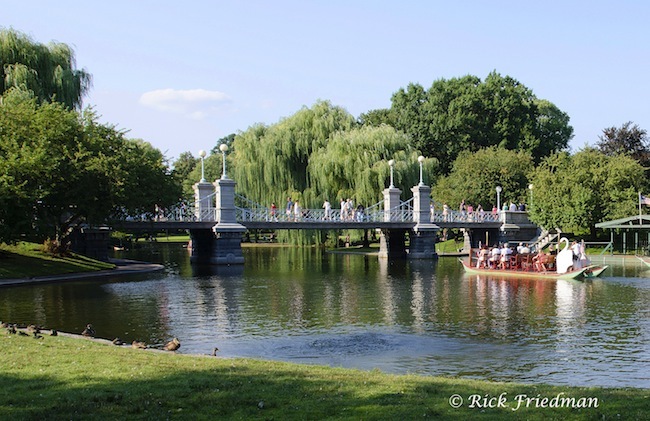 These shoots tend to be short and sweet, and even if you just sell a few of the images, it can be a way to turn an otherwise lazy Sunday afternoon into a business venture. You might be surprised how many of your clients didn’t realize they wanted to sit for a portrait until you send them a polite email. You can even add a line about portraiture in your digital holiday cards (you are sending out digital holiday cards, right?). Offer gift certificates. As Ann Rea pointed out, gift certificates are a smart way to help your clients get what they need for the holidays. There are a lot of benefits to gift certificates (cash in hand with the promise of work later, basically no overhead, plus, they make people like you! ), so there’s really no reason not to have them. Look for second-shooter work. 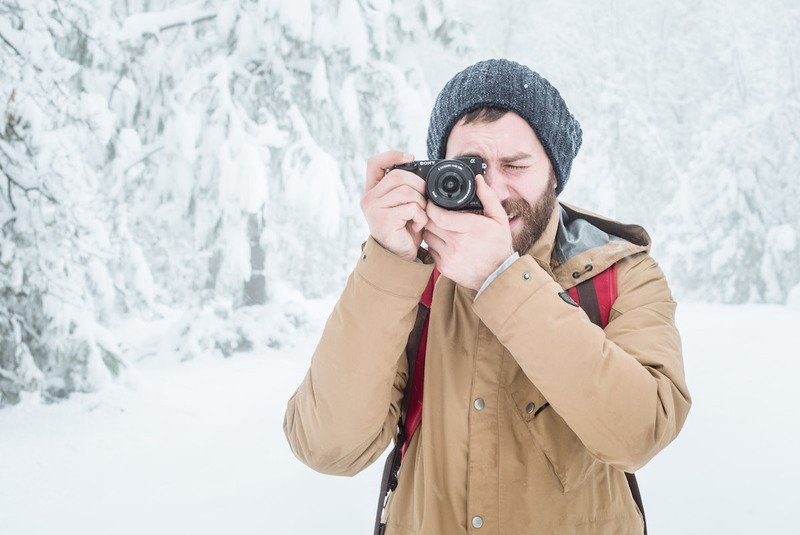 During a season when a lot of people travel, other photographers in your area might need a hand with a reliable second shooter. Hit up your contacts to see if anyone needs help with some of their events. The offer might be hugely helpful to a photog in a bind with too much work (yes, there is such a thing). Copy this guy. Selling your Instagram photos might seem like a weird thing to do, but for photographer Daniel Arnold, it was the difference between not making rent and padding his checking account by $15k. Basically, Daniel offered a firesale on his Instagram images — and tons of people took him up on it. Now, this might not be your exact course of action, but if anyone’s ever expressed interest in purchasing your iPhoneography, now might be a good time to let people know, via Instagram, that you’ve got pieces for sale. 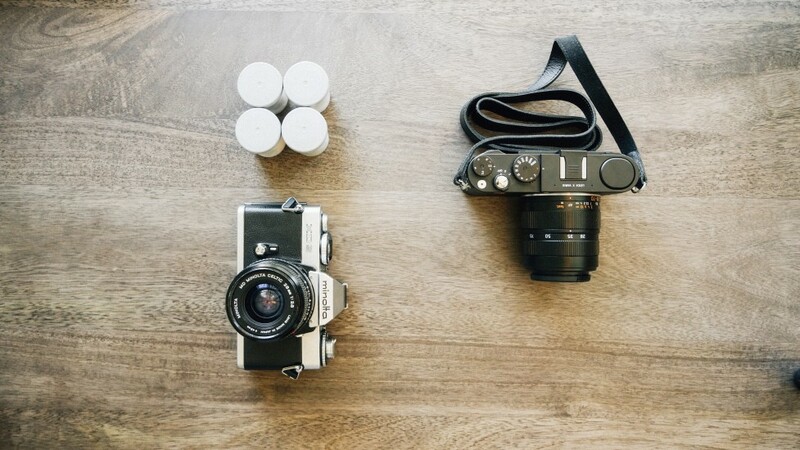 Shoot some stock photography. 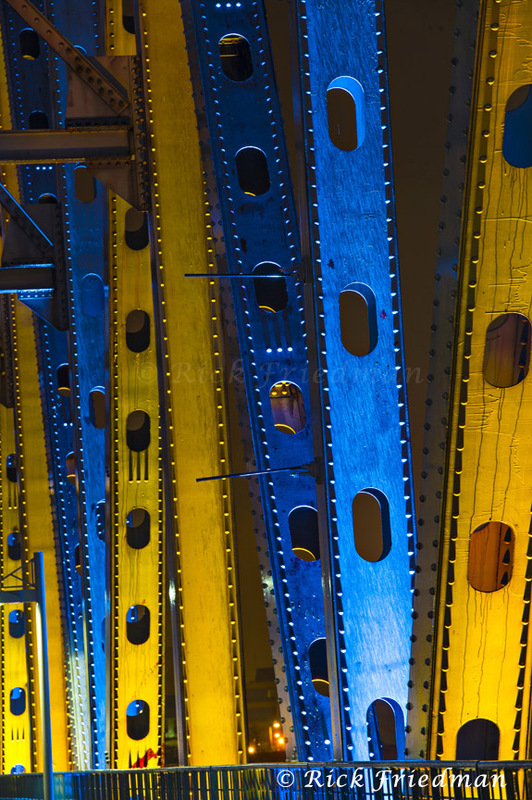 Stock images are a huge industry as everyone jumps on the content marketing bandwagon. If you find yourself with good light and something that might illustrate a blog post, set up your equipment and start firing away. Light Stalking has smart tips on how to make sure yours are the most popular photos on the site. The post How Photographers Can Make Extra Money During The Holidays appeared first on CreativeLive Blog. For some people, holiday party season is the best. You get to take time to meet new people, catch up with family and friends, and even socialize with coworkers who you may not otherwise talk to often. For others — introverts, shy people, or even extroverts suffering a crisis of confidence — this aspect of the holidays is borderline unbearable. 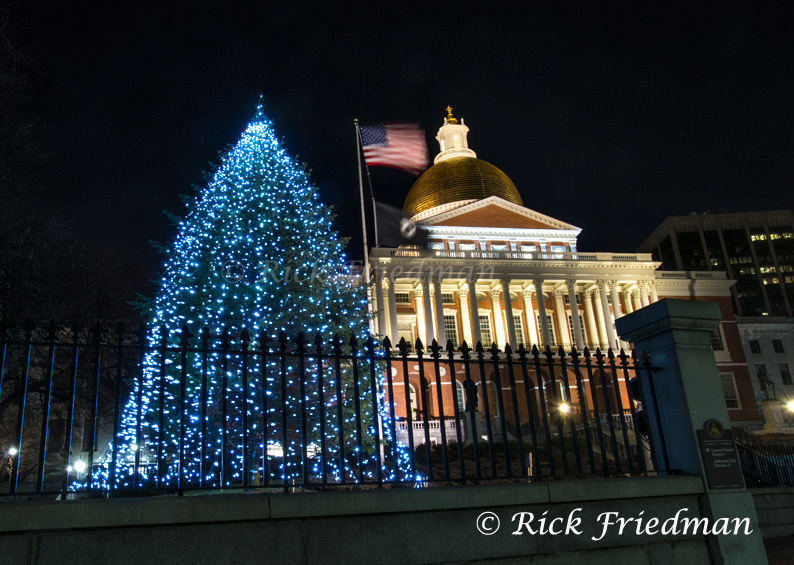 The small talk, the long days (how often are corporate holiday parties almost immediately after the close of the business day? ), and the constant stream of unfamiliar faces can be entirely too much. But the difference between nervously pacing in the moments before getting in the car and confidently handling the situation might be as seemingly-trivial as a change in how you’re standing. According to Science of People founder and body language expert Vanessa Van Edwards, one of the best ways to boost your confidence is to address what’s really making you nervous, and then, essentially, fake it ’til you make it. “Fear likes to dress up as things that it’s not,” explains Vanessa, who calls all of those pre-party worries — that you’re awkward, that you’ll be disappointing, that no one likes you — “gremlins.” They’re nagging and they’re plentiful, but in the end, they can be defeated by as little as changing the way that you’re sitting, standing, or otherwise carrying yourself. Because, scientifically, your body responds the same to a real threat (“like a snake or an accident,” says Vanessa) as it does to, say, “an awkward pause” or “someone who gives you a dirty look at a networking event.” This response “emotionally hijacks” your brain, making it impossible for you to conduct yourself in a normal, convivial way. “When something makes us afraid…we can’t move past it. So we have a hard time connecting,” she explains. To get back on track, then, you have to examining your fear, and then physically fight the fear response. First, allow yourself to really feel your anxiety. But, instead of judging yourself for it, ask yourself what is triggering your response. Why do you feel this way? What is causing these feelings? Are these rational, actual fears? This introspection can help you get support, get reassurance, and reframe the feelings. Next, says Vanessa, focus on that reframing. “Your fear is there. We’re not going to try to repress it — believe me, that only makes it worse,” she explains. Instead, “name and tame” your fear. Simply by rating how afraid you are and turning that negative self-talk into “clarifying self-talk,” says Vanessa, gives the fear less power over you. Instead of denying its existence, you admit that it’s there — and then move past it. If you’re still nervous or afraid — which you probably are — the next step is to use your body to fool your mind. So, strike what Vanessa calls a “high power pose,” wherein, essentially, you take up a lot of space. You can do this either before you leave for the party, or even in the bathroom or a private place (just make sure you’re alone). Just by acting out confidence — performing it with your body — you’ll be telling your brain that you are safe, and that it’s ok to emotionally connect with others. Then, since your brain won’t be blocking your ability to socialize and connect, you might find yourself more affable and amiable in whichever social situation you might find yourself, which will definitely give you that much-needed confidence boost. 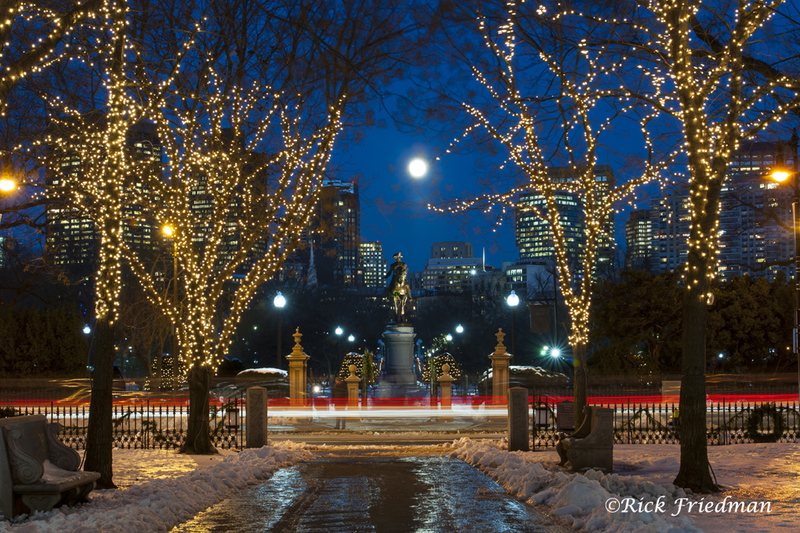 The post How To Boost Your Confidence Before A Holiday Party appeared first on CreativeLive Blog. Rick teaches dynamic, intensive, interactive “Location Lighting Workshops ” designed for portrait photographers, photojournalists, corporate and event photographers, wedding photographers, and serious amateurs who want to improve their knowledge of lighting. To see his schedule of events and participate in one visit his website. 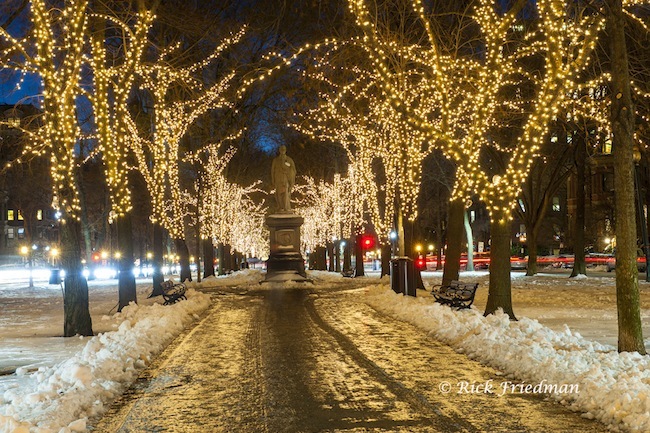 The post Tips For Photographing Holiday Lights From A Photojournalist appeared first on CreativeLive Blog.